Anyone who becomes acquainted with Nonviolent Communication (NVC) quickly learns about the critical role that human needs play in this approach. In my own mind, placing human needs front and center is the core insight around which everything in NVC revolves. This is the aspect of NVC that challenges prevalent theories of human nature; the entry point through which collaboration becomes possible in groups; the engine of the kind of healing that happens through engaging with an empathic presence; the mechanism through which conflict mediation proceeds; and the path to personal liberation. Because of their centrality to my thinking, spiritual practice, and work, I almost invariably refer to human needs in my blog pieces and when I speak. So I wasn’t surprised that a friend who is not trained in NVC wrote to me with the following question that emerged from his own efforts to write a document relating to human needs. I don’t quite know why it is that this particular question finally got me to realize that with all the writing I’ve been doing about human needs, I’ve never written a piece dedicated to the topic. What an oversight! The fundamental challenge I have with this question, and many like it that I have received over the years, is that its framing reinforces the process of evaluating and judging our needs and wishes. Which need is essential and which isn’t? This is a relatively benign question, except when we are working, for example, with a volatile conflict and we extend the evaluation into which needs are, say, “legitimate” or “reasonable” and which ones are not. In the heat of a conflict, even implying that what someone put on the table is not a legitimate need can re-escalate a mediation process in a matter of seconds. At the same time, I completely understand why the question keeps arising. Clearly, no matter how much charge someone has about getting a new pair of shoes or getting somewhere at a particular time, or even how many wars two groups may have had about a piece of land, somehow we know, intuitively (if they aren’t our shoes, our date or our land), that there is something different about any of those things from what we would consider “true” needs. As someone working daily with people and their needs, I know I neither want to accept at face value the stated need based on the emotional charge of it, nor do I want to evaluate from the outside what is or isn’t a legitimate, or essential, or basic need. Often enough things get even more complicated, because far more often than not, a need is not even stated. Instead, the emotional charge is expressed in the language of feelings, and those are muddled by including within itself expressions of wrongs done by others. In those cases, even identifying what could be a need takes a great deal of care and mastery. How, then, do we sort this maze to help find the nugget of core human connection that the idea of basic needs evokes in us? This is one of the places where I have the most gratitude to Marshall Rosenberg, the person who created the process of Nonviolent Communication (NVC), for the solution he uncovered to this fundamental puzzle. Instead of distinguishing between needs, wants, desires, and wishes, a procedure so fraught with the possibility of rift, the core distinction at the heart of NVC is between needs and strategies. Rather than trying to define needs in some abstract way, this distinction provides a dynamic procedure for moving towards understanding and connection in every moment. The simplest way I know of explaining this distinction is that strategies are what we want, and needs are why we want it. Another way of describing this distinction is that human beings have an indefinitely large number of variations of ways to meet a relatively small set of needs which are common to all of us. To use one fundamental example: money, the versatile strategy that now serves as a mechanism for attending to so many of our needs, didn’t even exist some number of thousand of years ago, and yet the needs we now use it for were already in place. Looked at this way, needs are the fundamental motivators for all our actions, as well as what gives meaning to all our experiences. This is why they are so important to all the processes I started out this piece by listing. The tragedy of life is that while our needs are so all-important, most of us go through life without cultivating the awareness of our needs nor the capacity to distinguish between our needs and our strategies. We rarely ask and answer why we want something, what the meaning of our pain is, or any of the many questions that would lead us to connect with our own and others’ needs. Why tragic? Because when we do, so much more becomes possible. Time and time again, for example, I see conflicts dissolving when the conditions are set for everyone’s needs to be heard and held by all involved in the conflict – this is because at the level of needs we are so similar to each other. Just over a week ago I was facilitating a meeting for a group of people who had been in a fierce debate with each other for thirteen years, and within one day they were able to identify a list of 25 principles and criteria for resolving the conflict that they could all accept. Why was that possible? Because we didn’t negotiate the strategies; we aimed for the “why”, for the underlying needs which, while not technically on the “NVC list” are, nonetheless, functioning to provide sufficient commonality and understanding within this group. I still haven’t directly answered my friend’s question, and I want to. The list of needs that I most recently participated in creating with my two sisters consists of 116 items. Clearly that number is unwieldy for anything that is designed to bring peace and clarity to someone wishing to understand what are basic human needs, emotional or otherwise. Some people, most notably Abraham Maslow, have created hierarchies of needs, in part to help solve this puzzle. I myself am hesitant to do this for two interrelated reasons. 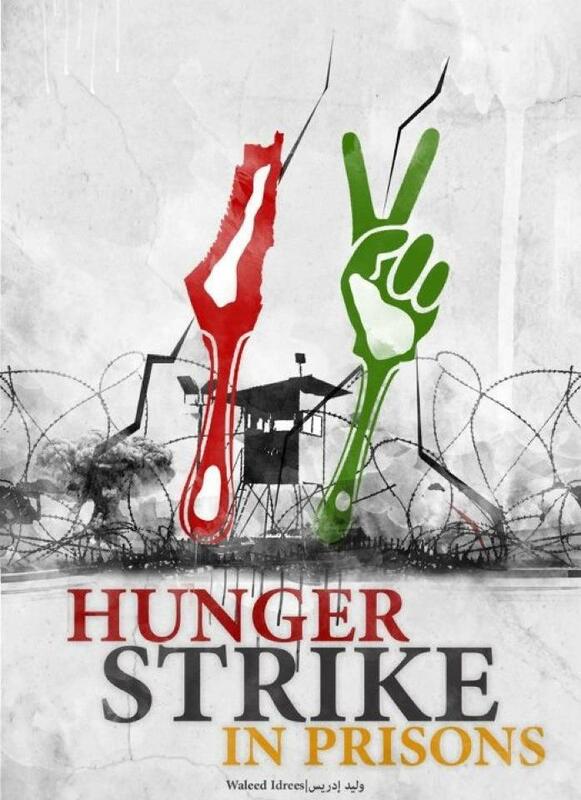 One is that I know people regularly override certain needs in order to fulfill others, most dramatically demonstrated in the willingness to die for a cause, or the capacity to choose to go on a hunger strike. The other is that people and groups who are suffering from oppression and harsh conditions nonetheless find outlets for art and personal expression which would not be possible if their basic survival needs were a prerequisite to other needs being pursued. Not only this, sometimes the creativity unleashed in those ways provides methods for attending to the survival needs that might not be available otherwise. 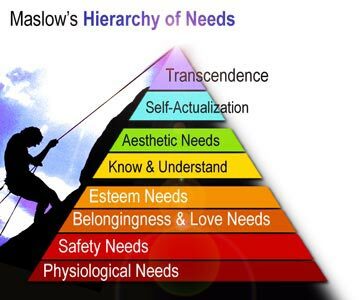 It’s not that I don’t recognize the core wisdom in the ranking that Maslow created; it’s that I think we are more complex and unpredictable creatures, and a static hierarchy of needs doesn’t capture us sufficiently. Instead, I believe we create and dismantle personal or collective hierarchies of needs to fit the conditions in which we live, which keep changing. Rather than ranking needs, then, I prefer to cluster them, following both Marshall Rosenberg and Manfred Max-Neef, who created, independently of each other, very compatible approaches to putting order in the chaos of human needs. Indeed, the list that my sisters and I organized synthesizes those two approaches into one, and offers ten clusters of needs within four basic categories. I would cluster all of the needs that my friend named – shelter, food, fire, water, air – to be part of the category of “Subsistence and Security.” We added three other primary categories that are more emotional in nature: Freedom, Connection, and Meaning (each of which has two to four clusters within it). I have found, for example, that when someone is overwhelmed with emotion and unable to even recognize a need that’s offered as a possible guess, often enough they can still identify if what is going on for them relates to freedom, connection, or meaning. Easier to relate to than to pore over a list of so many needs to figure out the one that is just exactly the right fit for the moment. We can get easily overwhelmed by anything longer than a list of three when we are not habituated to connecting with our needs. Our human needs are the ways that life makes itself known in us, the urges and longings that drive us to all we do and feel. Whatever it is that we want at any given time, we can ask ourselves why we want it and receive some answer. If we keep going deeper and deeper into the why, we will find the most vibrant need for that moment. Not more important, only more immediately alive. Join us to discuss this post on a Conference Call! Tuesday February 5th, 5:30-7 pm Pacific time. This is a new way that you can connect with me and others who read this blog. Each Tuesday you will have an opportunity to participate in a teleconference to discuss the previous week’s post, usually posted by Thursday. Almost all weeks the teleconference will be facilitated by me, except when I am on a teaching tour, in which case a trusted colleague will be facilitating instead. Those who sign up will also have an additional set of reflection questions available to them in preparation for the conference call. For more information, click here. We are asking for a $30 donation to join the call, but on a gift economy basis: so pay more or less (or nothing) as you are able and willing. This entry was posted in Uncategorized and tagged Uncategorized on January 31 / 2013 by Miki. At long last I responded to Tom's essay, which I thoroughly enjoyed reading. I placed the comment there rather than here, so if you remain curious, please go to that blog entry (see above in Tom's comment) and read it there. It was a total delight to engage with a complex, different and almost entirely aligned exploration. This stimulated a huge amount of thought and reflection in me.